Himalaya Herbals Gentle Refreshing Face Wash is a soap-free, daily-use face wash gel that cleanses your face and removes excess oil without over-drying. Enriched with Citron, a natural astringent and cooling agent that tones your skin, and Honey that deep cleanses and nourishes, our face wash leaves your skin feeling softer, healthier and refreshed. 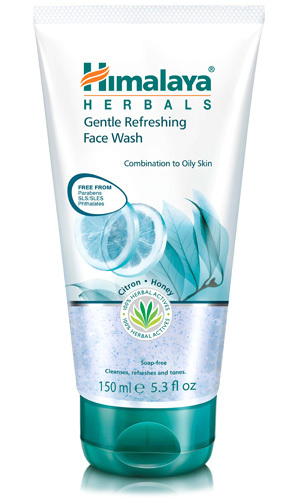 Moisten face and massage Himalaya Herbals Gentle Refreshing Face Wash all over avoiding the delicate eye area. Wash off and pat dry.